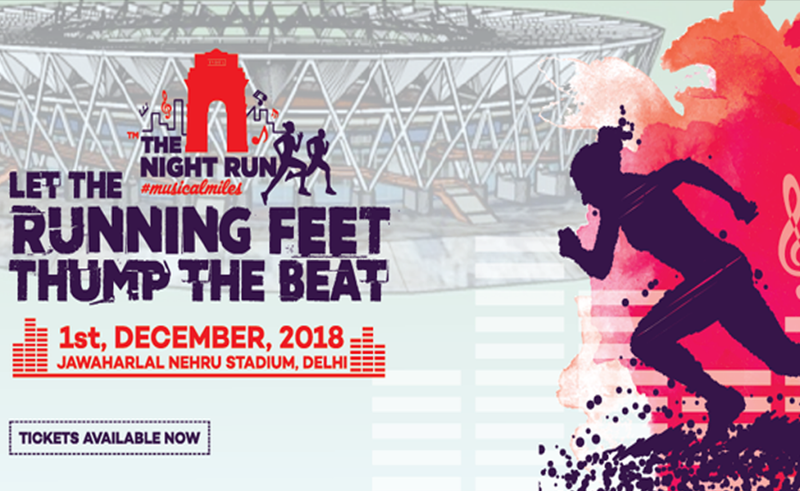 The Night Run is Delhi's own running music festival - an ultimate blend of a music festival and a fun run. Just as dusk begins to fall, The Night Run will begin in the very heart of New Delhi and will take participants through an experience filled with music, lights, lasers and entertainment. Runners will cross the finish line into an epic main stage after-party featuring top headliner DJ and a live band performance. We are covering 5k Go Green Run and 10k Endurance Run before getting into the Musical Miles Fest of the evening. DJ Skip is the DJ on board– (Turntablist, Sound designer & Wizard on decks, Skip was picked as the National Winner of the Redbull Threestyle Championship in 2011/2012 post which he went to Chicago to represent India in 2012 World Finals. He also represented India at the IDA World DJ Championships 2013 and secured 3rd position worldwide in the show category. The only Turntablist to join Amazon India Prime show Remix where he collaborated with Akasa Singh and also did the official remix of her song‘Thug Ranjha’. Skip was picked as the National Winner of the Redbull Threestyle Championship in 2011/2012 post which he went to Chicago to represent India in 2012 World Finals. In addition to this, DJ Skip also dedicates his time to teaching his craft to young, aspiring talents by conducting DJ workshops at colleges and acting as guest lecturer at SAE (School of Audio Engineering) Institute, Chennai and The Urbanatic School of DJs, Delhi.